When cleaning out my pc, I noticed that IE was still installed. As I don’t use it anymore I wanted to remove it. But going through the list of installed programs, I couldn’t find it. After some research I did find a way to remove it from my pc but it wasn’t as easy as I hoped it would be and that is why I’m sharing this with you. 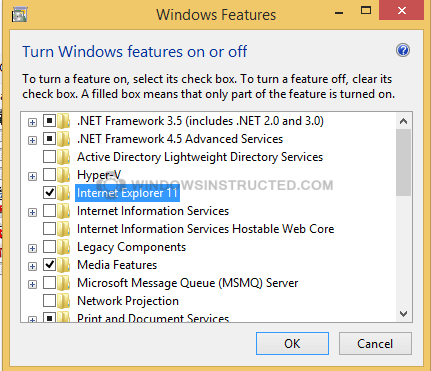 With the change made when going from IE9 tot IE11, they classified Internet Explorer as a Windows Service. By doing that they made it part of the Windows software and therefore it can’t be found in the normal control panel. But also Windows Services can be uninstalled, so let go to there. Start by going to “Control Panel -> Programs -> Programs and Features”. 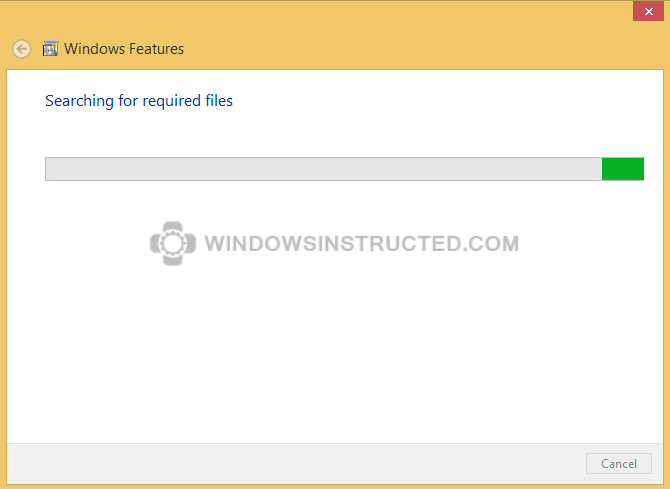 On the left side you will see the option “Turn Windows features on or off”, click on that. Doing that, a new window will open saying ‘Windows features’. Scrolling through this list you will find all kinds of programs, but also one reading ‘Internet Explorer’. 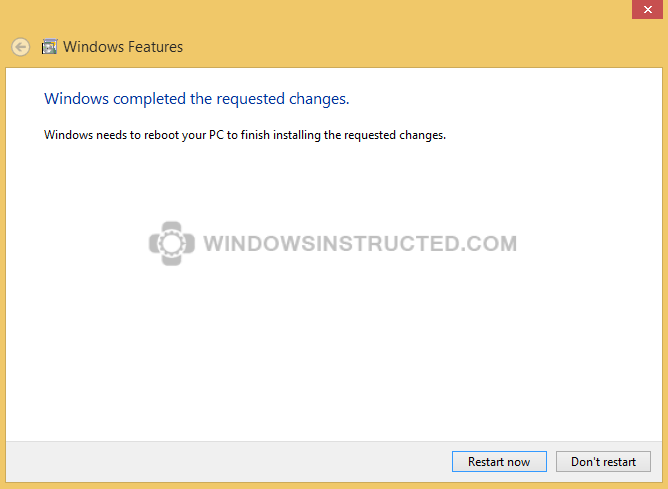 Uncheck it and press ok.
Windows will warn you not to turn IE off as it might affect other program on the Operating System. Luckily we already have an other browser (if not, make sure to get something else first) so we can safely ignore this warning. 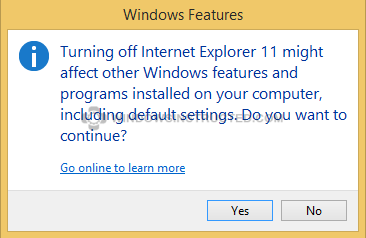 Ignoring the “Turning off Internet Explorer might affect other Windows features and programs installed on your computer, including default settings” warning by clicking on Yes, to continue. It will take you back to the Windows Features window without the check next to Internet Explorer. Now you just have to close this windows (press OK) and Windows will start uninstalling Internet Explorer.